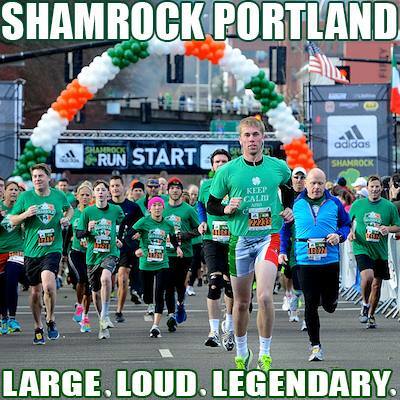 Portland's largest race is by far The Shamrock Run with about 35,000 runners, walkers, and more taking to the streets of Portland to celebrate St Patty's Day, running, and the color green. Shamrock is projected to reach its field limit of 35,000 participants by the end of January. So don't wait any longer to sign up for this fun race presented by adidas and LifeWise. 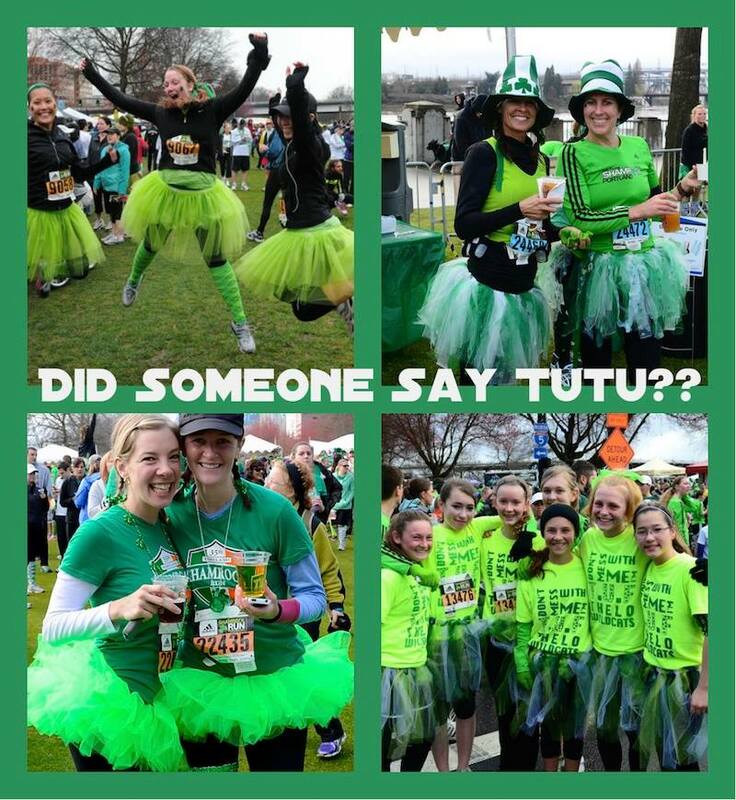 Costumes are Encouraged- and this race seems to have an abundance of Tutus! So prepare your Outfit, costume or tutu and join this timeless classic of a race before it is too late! The Shamrock Run is projected to sell out before the end of January and there are only a couple of days left for Team Registration. Registration Cost – $43 or $39 by joining a team and there are plenty to join! Team Entry Deadline is Wednesday the 22nd of January! (Post in the comments if you have a team still needing members!) LifeWise Members get a free registration – contact your LifeWise Representative for more info. There is an option to buy Long Sleeved Shirts, hoodies and more. 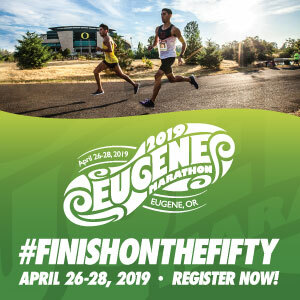 Course – All events start at SW Naito Parkway and Pine Street, adjacent to Waterfront Park and finish at Naito and Taylor (except The Leprechaun Lap). The 15 k is a hilly 9.3-mile course through downtown Portland and the Terwilliger Hills. The 8k and 5k are run through downtown Portland and are mostly flat. Shamrock Fitness Fair – A two-day Expo event where you can pick up your Bib and packet. It is held on Friday, March 14 (11:00 AM to 8:00 PM) and Saturday, March 15 (9:00 AM to 3:00 PM) at the Oregon Convention Center. There are over sixty running and fitness exhibitors. Plus fairs are great places for information, gear, live entertainment and giveaways! FYI – Although Runners are timed, not all runners are released at the start of the race due to the size of the race. They do a “release and hold” system. Runners line up by their appropriate per-mile pace sign held overhead in the starting/staging area. 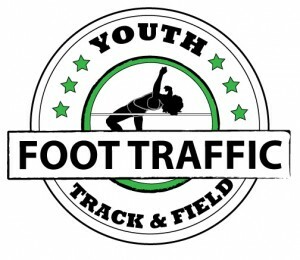 Participants will be released in groups of 500 to 1000 participants every 30 to 90 seconds to allow the field to spread out and to minimize congestion along the route, especially in the first mile. But rest assured, there will be some congestion, so come to have fun and not race. Remember- The chip-timing system will not record your starting time until you have crossed the timing mats at the start line! A Fun Facts about the Shamrock Run- Every year they have a Shadow Run for Deployed Soldiers and if you miss the regisration, they save a certain amount of seats for Their Fundraiser Registration spots! This is a great event to dress up, have fun, and celebrate a fun holiday in a fun way! Did I mention there is beer after the race? 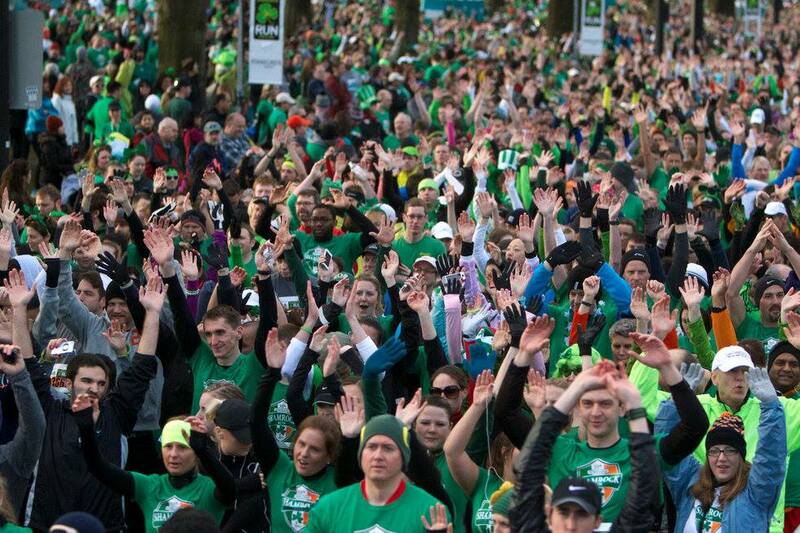 4 Comments on 2014 Shamrock Run and Stride Registration projected to sell out soon – Don’t wait! Nice Rainywriter! Marilyn are you dressing up? Any teams need another person or know of someone who has to drop out? The race sold out before I could register.